Starting your morning right is an essential first step to a productive day. Whether you're running late, rushing to catch up on the day's news, or lagging behind with early emails, little hiccups like these can have a trickle-down effect and ultimately ruin your day. Like with many problems, though, your smartphone can help. Using a combination of different apps, you can be informed, alert, and ready for the day before even leaving the house. These tools allow you to get the jump on various tasks that, when not addressed, can easily become overwhelming. And that starts with waking up on time. Starting your day right is a process that actually begins the night before. It is important to get at least eight hours of sleep a night — not only does it this provide enough time for your brain to recharge, it also makes it easier to wake up on time the next day. Our phones are both a blessing and a curse in this regard, oftentimes distracting us well into the night. On the flip side of that, there are apps that can help make sure you get to bed on time. 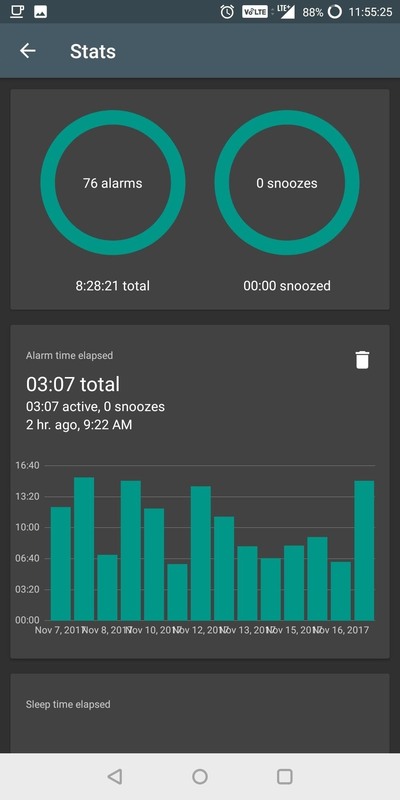 The best one we've found is called AMDroid, and it's quite an innovative alarm app. 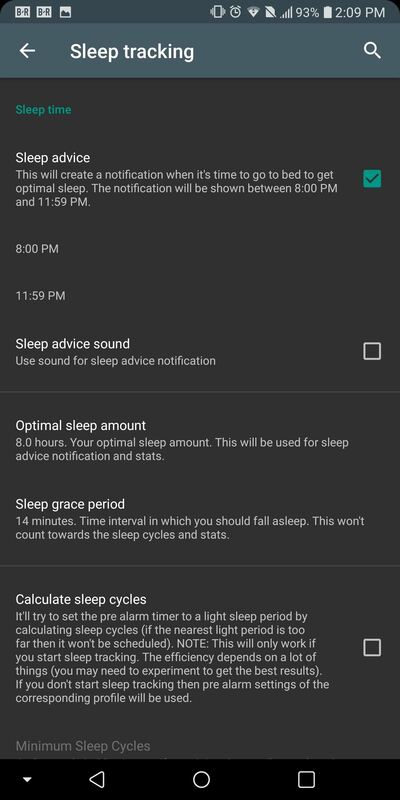 AMDroid has a feature called "Sleep advice" that informs you of the optimal time to go to sleep in order to get a full eight hours. When enabled, you'll get a bedtime reminder the night before your alarm goes off. 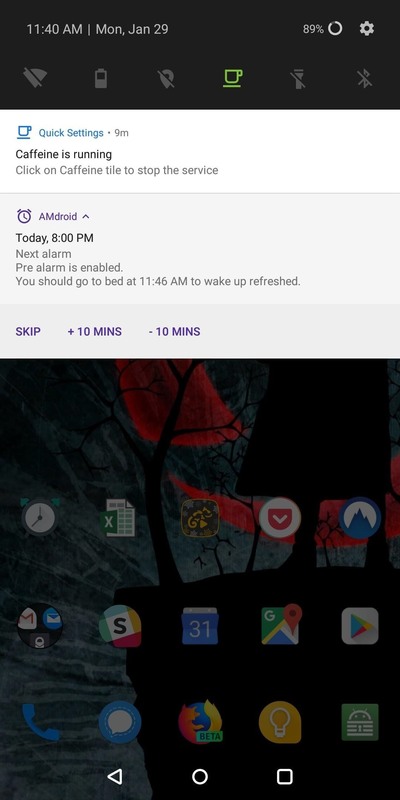 You can choose what time this message appears so you can make the necessary adjustments in order to be in bed at the recommend time, and you can increase or decrease the optimal sleep amount you wish to achieve. It even includes the ability to account for a grace period — the several minutes you spend lying in bed looking at the ceiling as you prepare to go to sleep. For even more control, you can even track your sleep and set the alarms based on your sleep cycles. 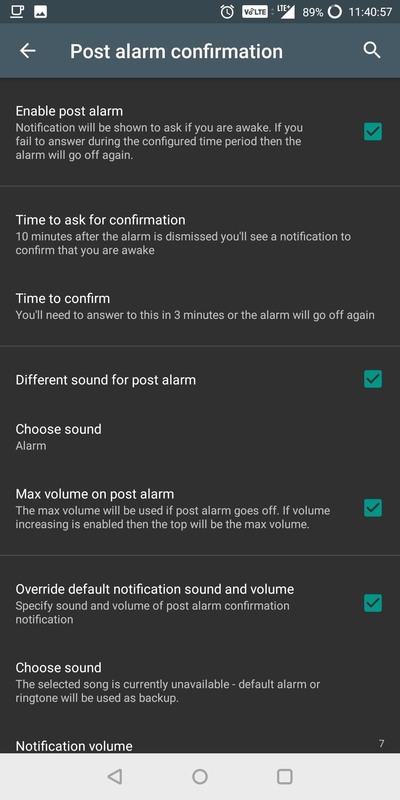 Speaking of alarms, another major feature of AMDroid is the ability to set both pre and post alarms in addition to your default alarm. 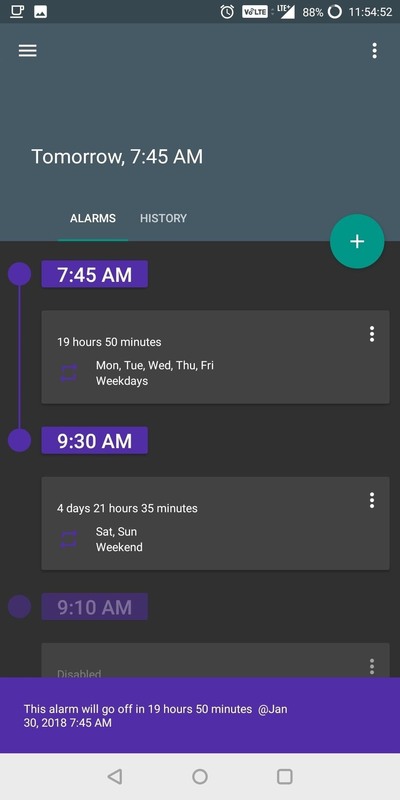 With pre-alarms, AMDroid will set an alarm before your main one to assist you with waking up on time. The idea is if you are already somewhat awakened by the first alarm, you consciously wake up on the main alarm. This alarm can be adjusted to either go off at a set interval or a random one. You can control how close and how far away the pre-alarm can be to the default alarm, which will also determine how many pre-alarms you will receive. You can even alter the sound to help you differentiate the different alarms while you are semi-conscious. 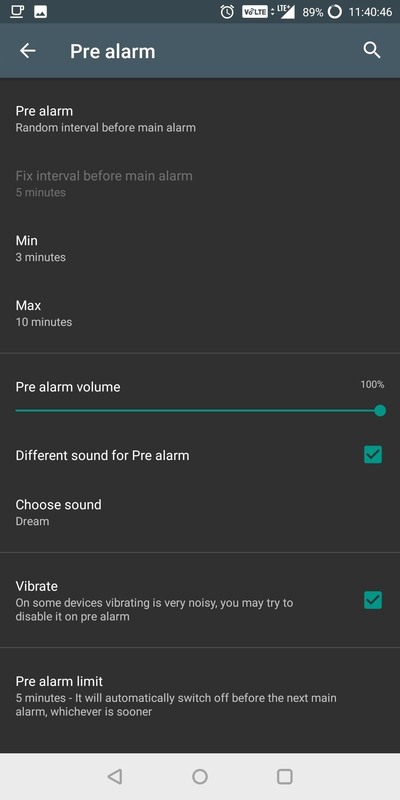 And if you're like me and hate hearing the default alarm sound when you first wake up, you can change the pre-alarm to a more soothing sound to help better prepare you for the upcoming irritating one . For heavier sleepers, there is a post-alarm to make sure you don't wake up late. Ideally, if you find that you typically oversleep, set the post-alarm to the actual time you need to wake up. With the post-alarms, you set the time for the app to wait before confirming you are awake. Once the allocated time passes, the alarm will go off and continue to go off until you properly confirm you are conscious. Now that you're up, you'll probably want to read the morning news. However, finding news can be difficult and clunky. For example, while social media platforms such as Twitter and Facebook are great sources, if they're not organized properly, they can be a jumbled mess where we easily miss the information that interests us. This is why I would recommending using an RSS reader, and one of the best apps in this category is Palabre. 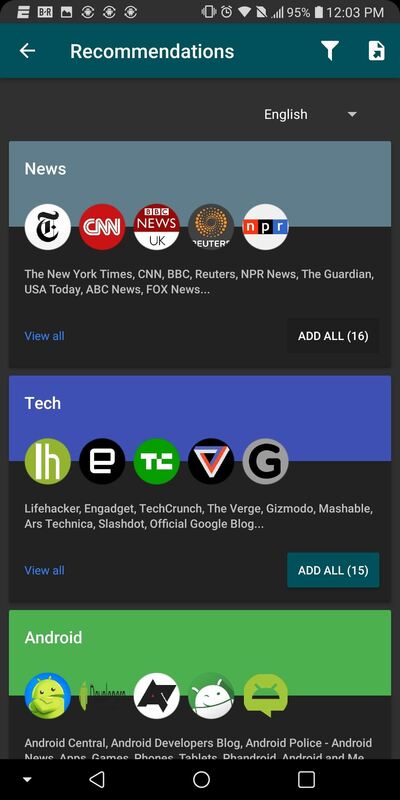 Palabre is a beautiful app that puts focus on the topics you want to read about. 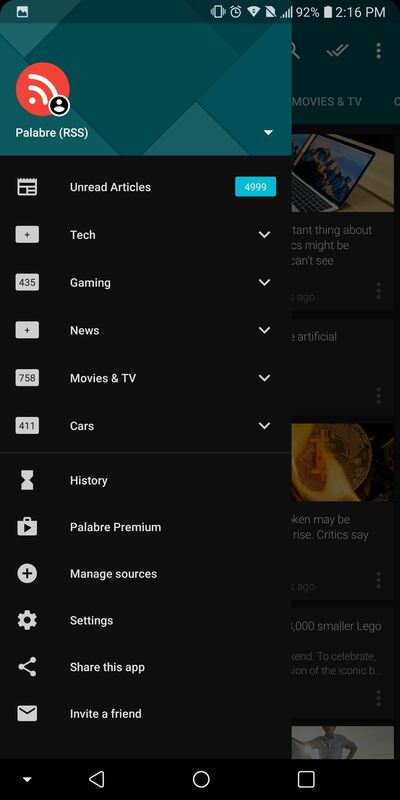 When first opening the app, you will be presented with popular categories and sources to occupy them. You can choose to use their categories or to create your own. Almost every site has an RSS feed these days, so sources are virtually limitless if you go the manual route — you can even add feeds from Reddit or Gadget Hacks. RSS readers like Palabre make it easy to scan articles headlines (and a brief introduction sentence) to decide if you want to learn more about the topic. Instead of having to search the web for articles, it's all done for you, so you just have to decide if you want to read it or not. With Palabre, before you head out to work, you can quickly read a few articles that will both expand your mind and keep you informed of the world at large. You may even learn of a new strategy or technology that can help you with organization. And to remain productive throughout the day, Palabre has a beautiful widget which can show one or more articles, providing you information at a glance. 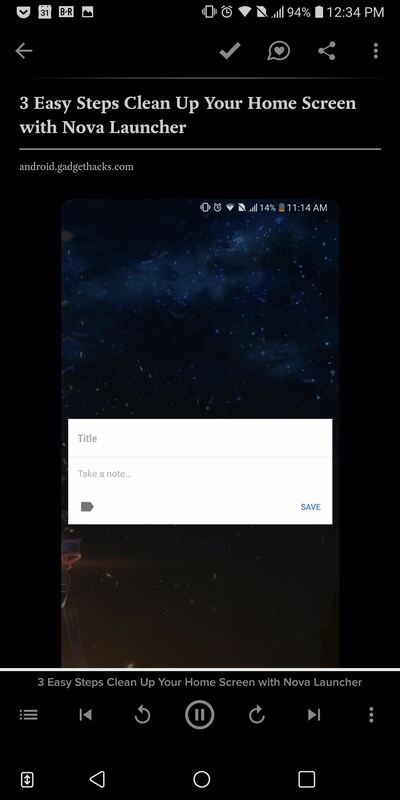 Widget can show multiple articles or just a single one. Of course, reading stories online can easily get distracting. So before you go overboard with Palabre, let me tell you about another app called Pocket. 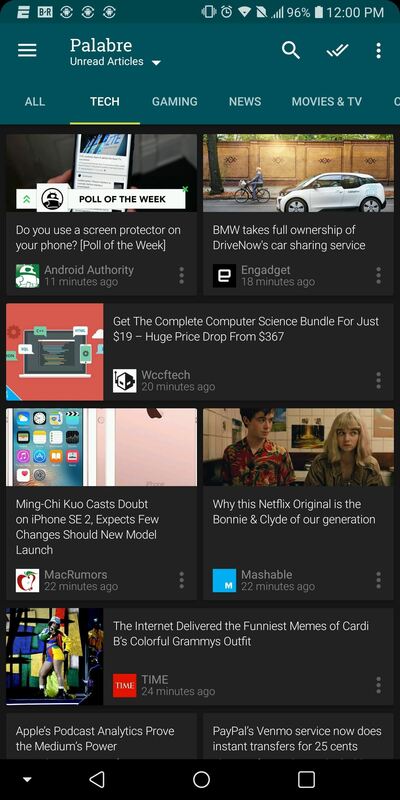 Pocket simplifies the overwhelming amount of information that comes from RSS readers. While RSS readers are great tools to view an abundance of information quickly, what happens when you find multiple articles you want to read, but you don't have time? Typically, you would have to make a difficult choice of reading one and losing the other one. Pocket eliminates this ultimatum. 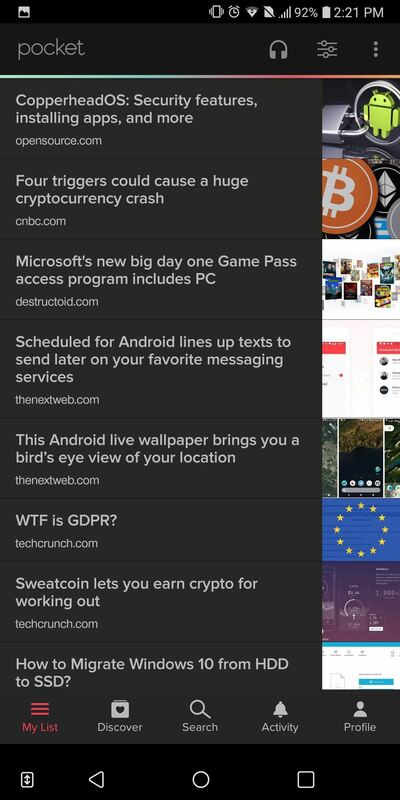 With Pocket, you save those articles on a separate personal list which you view later. This list syncs across multiple platforms including the web, so you can view these saved articles whenever it makes more sense. 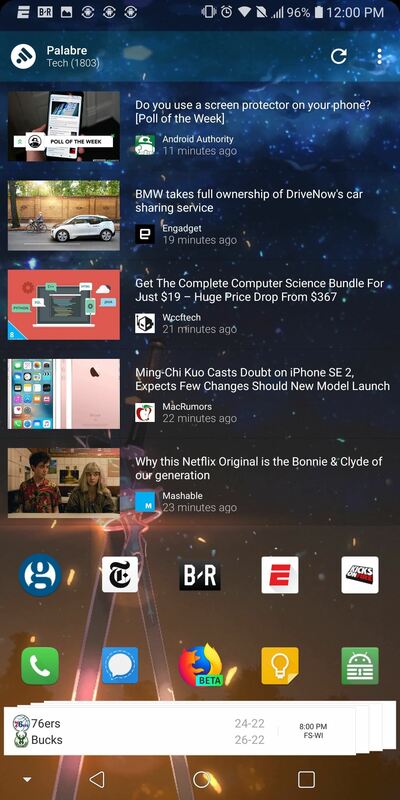 Pocket is particularly useful if your news comes from multiple apps. 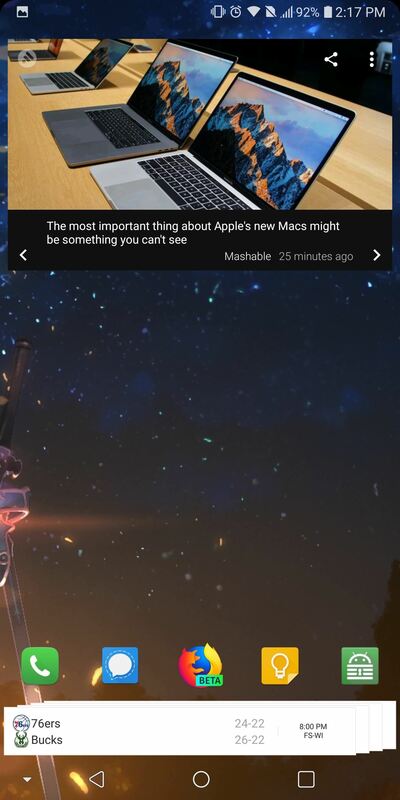 As these apps notify you throughout the day of breaking news and other articles that may interest you, instead of reading the headline and dismissing them, you can open the article and quickly save it to Pocket to read later. Palabre has built-in support for Pocket. 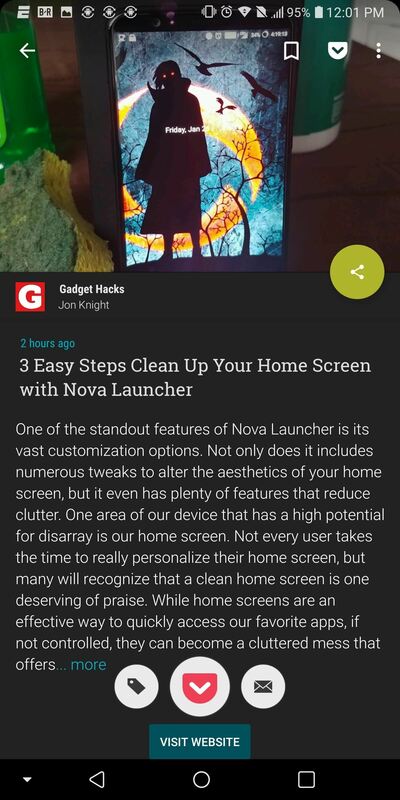 One of the most unique features of Pocket is the ability to listen to articles. 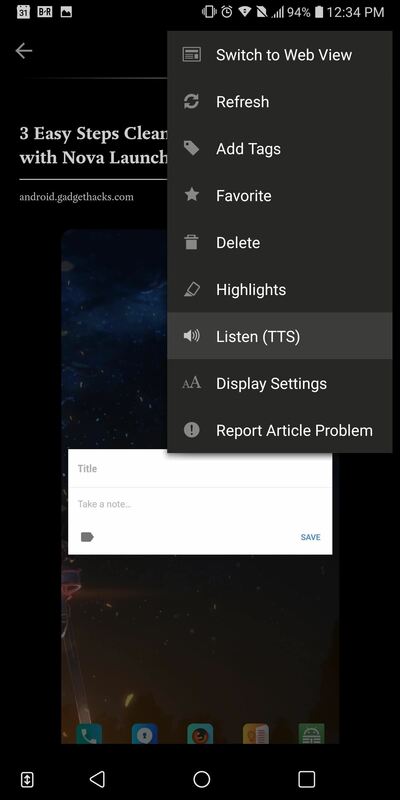 Either tap the headphones icon on Pocket's main menu or choose "Listen" from the three-dot menu while viewing an article, then Pocket will begin to read any articles saved to its list. If you've got a long morning commute ahead of you, this is a great way to catch up on the news. Probably the single greatest distraction in our day is email. Specifically, unimportant and frivolous emails which waste time each day. While the subject line typically gives it away, the email notification itself prompts you to take some type of action, such as deleting or archiving. The time to perform this action may seem minimal, but adds up as the day progresses. In an ideal world, we'd all be sitting at "inbox zero," meaning there are no emails left to deal with whatsoever. This can be hard to achieve, but fortunately, Google answered the call and introduced a feature in Gmail to help specifically with this problem. "Priority Inbox" analyzes your inbox and filters out trivial emails. Any incoming message deemed not important will be archived for later viewing. We wrote an article which went into more depth on Priority Inbox and how to enable the feature, so head to the link below for more information. With all four of these apps, it should be a lot easier to start your morning off right. No more oversleeping, no more wasted time sifting through the news or dealing with emails — just a streamlined morning routine thanks to some creative software. Do you have any other suggestions for staying productive in the morning? Let us know in the comment section below.